Karen Fasimpaur has over 20 years experience in working with schools, non-profits, and community organizations. She is currently President of K12 Handhelds, Inc. In that role, she oversees all educational projects, as well as work with non-profit partners. Prior to that, she served as President of Futurekids, a K-12 educational technology integration company with operations in 75 countries worldwide. Before that, Ms. Fasimpaur was an executive at Davidson & Associates (later known as Knowledge Adventure and Vivendi Universal Publishing), where she held positions as Executive Producer and Director of Online Business Development. Ms. Fasimpaur oversaw a joint venture with Addison Wesley to produce an innovative multimedia history curriculum in collaboration with the California, Florida, and Texas state departments of education. Ms. Fasimpaur has also served as the Director of Operations for the Mazer Corporation, an educational materials developer. Ms. Fasimpaur has conducted many presentations and workshops on the use of handhelds in education as well as on other topics relating to the integration of technology in K-12 education. The forums she has presented at include NECC, FETC, TCEA, CUE, the Handheld Computing Fair, the Florida Technology Leadership Summit, and elsewhere. Ms. Fasimpaur has classroom teaching experience as a teacher of elementary and adult education. She holds a Master of Business Administration Degree and a Bachelor of Arts degree. 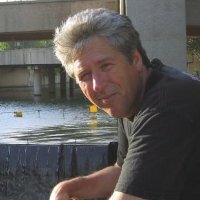 Brad Emerson has over 25 years in experience developing software, hardware, firmware, and Internet applications. He oversees all technical software and web development and server set-up and management at K12 Handhelds. Mr. Emerson’s experience spans a variety of operating systems and programming languages, as well as various hardware and firmware platforms. He also holds several U.S. patents, including ones for proprietary approaches to educational product designs. Previously, he worked as a senior engineer for Canon Development Americas developing wireless and networking technologies, working on a variety of platforms, including Linux, Windows, and VxWorks. Specific technology areas include UPnP, Samba, WCN, and Web Server development. He has served as the Software Development Manager of Advanced Engineering at Toshiba America. In this capacity, he oversaw the design and implementation of a variety of networking-related applications, including work on Bluetooth. He also managed the User Interface design group. Prior to this, Mr. Emerson was the senior engineer at Neurosmith, a developer of smart educational toys. Before that, he was the senior engineer of Davidson & Associates (later known as Knowledge Adventure and Havas Interactive), where he oversaw all technical development of their proprietary game development system.